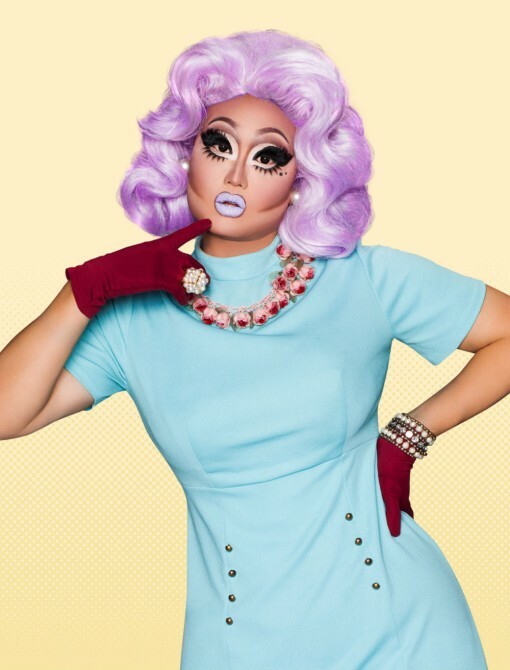 Second to none when it comes to beating a face and coming up with insta-couture for the the show’s various runway challenges, Kim Chi is enjoying the sudden spotlight. Tonight, she brings that notoriety to Metro Bar during “Glazed”—a night of drag and donuts hosted by the Bad Kids Collective, a troupe she calls "an amazing, talented group of artists." Listing Marina Abramović and K-pop as her main influencers, and self described as a “cultural hybrid with a preternatural understanding of style and conceptual fashion,” it came as a surprise to find out what she was wearing when the interview was happening—an old T-shirt and no bottoms. “I’m cleaning the bathroom right now, and I didn't want my pants to get wet,” she says with a chuckle. Along with elevating drag to an art form, RuPaul's Drag Race, now in its eight season, has introduced 100 drag queens to the world; some with backstories as jaw-dropping as their death-drop-filled lip syncs: from Ongina disclosed she's HIV-positive on Season 1 to Roxxxy Andrews revealing she was abandoned by her mother at a bus stop as child. In Kim Chi's case, that gag came when she shared her conservative mom has no clue she does drag. "My mom still doesn't know that I'm on Drag Race, because she lives in a small town in Michigan," she says. "She doesn't watch TV or really know what Logo is." The performer says she sent her mother the $3,000 she won during episode one's main challenge. "She was like, 'Oh my God. I'm so happy that you're doing so well with your make-up gigs and everything." Another personal tidbit Chi revealed during the show is that she is still a virgin; a thing that could change after her SLC visit. “If you're tall and handsome, feel free to holler at me” she says.